Serving Orphans Worldwide | One Home’s Unique Approach towards Sustainability amidst Orphan Crisis in Eastern Ukraine. War, substance abuse, unemployment, and poverty have fueled the growing orphan crisis in Eastern Ukraine, leaving communities burdened without the capacity to care for them. Although we know that adoption and family reunification achieve the best outcomes for orphaned and vulnerable children, it is not an immediate option for most children in Eastern Ukraine. That is why high-quality children’s homes are a necessary part in the continuum of orphan care. However, when children’s homes begin to work alongside their community, sharing resources and knowledge, they can together become empowered to develop systems of care that are not only culturally appropriate, but are also long term and sustainable. This is the approach that Sails of Hope, one of our partner homes decided to adopt to improve sustainability for them as well as achieve the best outcomes of orphans in their city. Slavyansk, located in Eastern Ukraine has struggled since the collapse of the Soviet Union. While conditions have improved in recent years, the people continue to grapple with poverty, alcoholism, drug abuse, and high HIV and crime rates. Many are incarcerated, leaving children on their own and too often, parents die early because of poor access to healthcare. With limited spots, and with so many children needing immediate care, Sails of Hope had to work in collaboration with their local community. With the economic uncertainty brought about by the war, fear became the biggest barrier that prevented local and extended family members to take in children long term. Despite this fear, some families in Slavyansk have stepped up to foster and adopt, giving Sails of Hope the freedom to take in those who have the most immediate needs. Although still an issue, it alleviated the burden of having to decide which child needed care the most and which child had to return to the streets. Knowing the economic turmoil, and that in many cases, children who belong to struggling families end up being dropped off at the orphanage, Staff at Sails of Hope realized that perhaps, by investing in a program that supports and empowers families who have taken in orphaned children through the difficult times will in turn, help them with their own sustainability plan. This would be both cost effective for the home and gives the child the benefit of being part of a family. They got creative and found a way to stretch their support dollars to develop a livestock program. 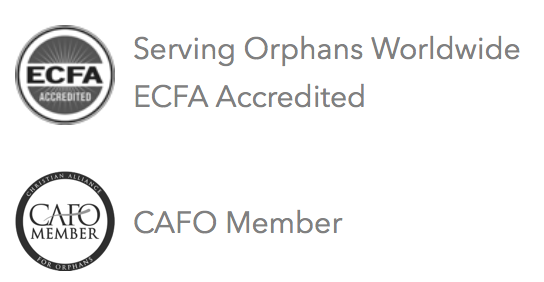 The aim of this program is to get these families, many who have taken in orphaned children through these uncertain times by generating a stream of income and putting food on the table. This livestock program has been extremely helpful to Anya. Anya’s father was killed in the war in 2014. Her mother suffers from substance abuse and addiction, leaving Anya to care for her own baby and younger siblings with little to no support. As part of the livestock program, Sails of Hope wanted to empower Anya to continue caring for her family by purchasing 20 chicks to help support her and her family. She will be able to produce eggs, sell them on the market and provide food on the table. In addition, they purchased two beehives for the Khamidulnik family, who took in two disabled children, so they could produce and sell honey on the market. Serving Orphans Worldwide is proud to support Sails of Hope, along with two other homes in Ukraine. Currently, Sails of Hope is caring for 39 children who are long term residents and are about to receive 3 additional children. They not only provide basic needs such as shelter, nutritious meals and a warm bed, but they also provide access to healthcare, education, and extra-curricular activities and programs such as summer camps, hiking, bicycling and much more. Bible studies and Christ centered activities give all the children the opportunity to know that they are loved unconditionally by their heavenly Father, and that they have a promising future despite their circumstances. 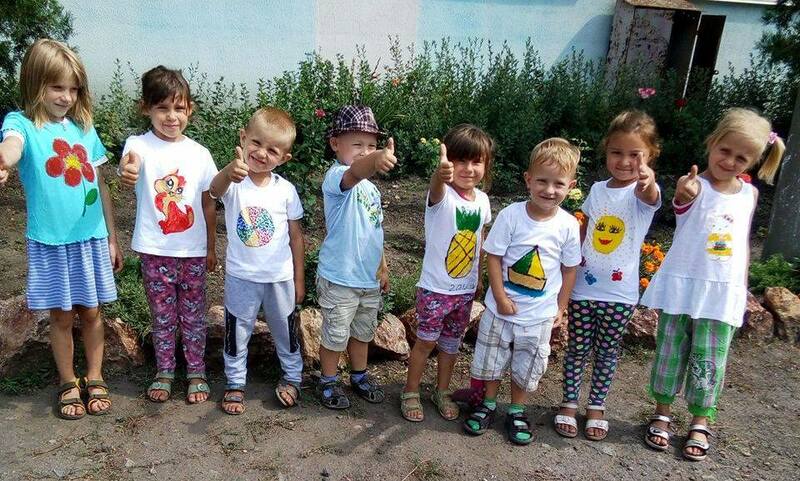 Sails of Hope and the recipients of the livestock program are continuing to care for these children, impacting the orphan crisis in Slavyansk one child at a time.